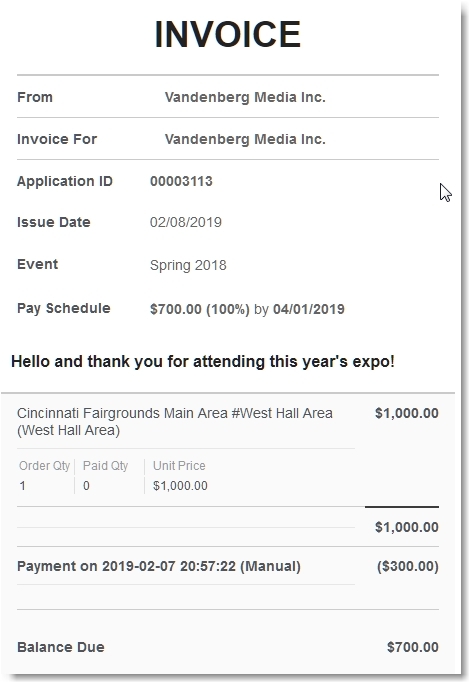 You can view and send an invoice directly from the exhibitor detail screen. You can also automatically send this after they make a payment, such as the first part of a split-payment. 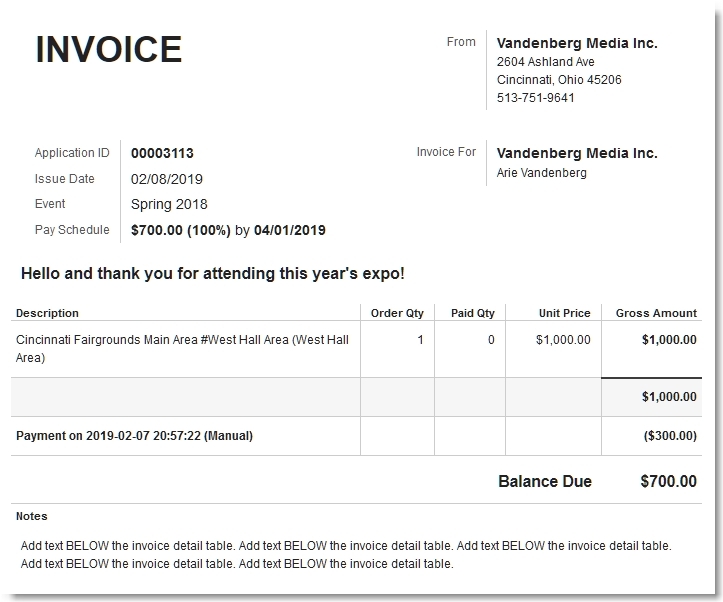 Invoice pages can be sent directly to the exhibitor by sending the page link. From the Vendor Detail screen, this shows the first part of a split payment, so they paid $300 and $700 is the balance due. Click the Invoice button to display the invoice. 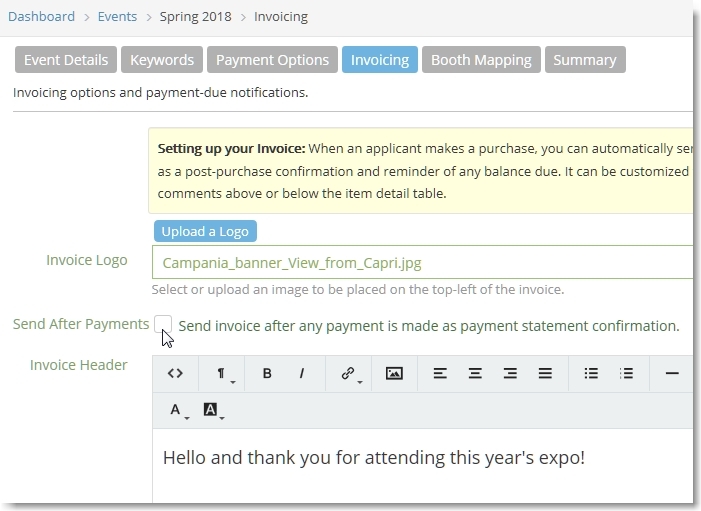 When you create an event, you can also setup an invoice and customize it with your logo, custom text above the statement table and below it. From Events>Options>Main Settings, you can setup your invoice. After you finish adding text and an optional logo, you can then preview your invoice. Save and preview your invoice. 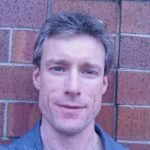 The invoice is automatically generated with current payments and balance due. The invoice is also responsive, so if you’re viewing it on a mobile device, it will adapt to the screen size properly. The invoice is responsive and will adapt to any size screen.